The fluvial lake system across China's Yangtze River Plain, which serves nearly half a billion people and is a World Wildlife Fund ecoregion, lost about 10 percent of its water area from 2000-2011, according to Jida Wang, assistant professor of geography. Wang and colleagues published their findings for the lake system's decline in the American Geophysical Union's journal Water Resources Research. "Many people's first intuition is that the culprit must be the Three Gorges Dam because it impounds so much water in the Yangtze River, but our fingerprinting study undeniably shows that the dam is not the decline's primary cause," Wang said. "Climate variability is the predominant driver of this decadal dynamic." Wang collaborated with Yongwei Sheng, of the University of California, Los Angeles, and Yoshihide Wada, of Austria's International Institute for Applied Systems Analysis. 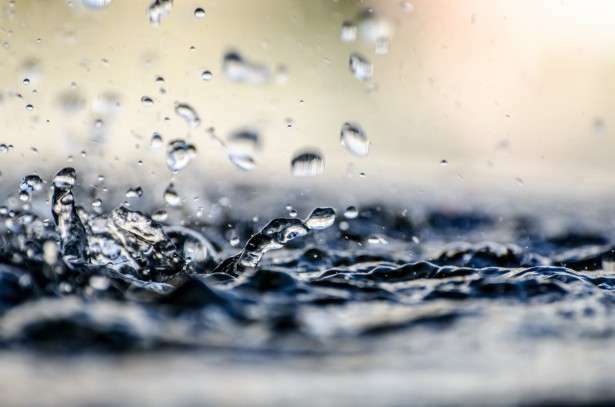 They found that roughly 80 percent of the observed lake decline is the result of simultaneous climate variability closely related to the El Niño-Southern Oscillation, which has caused droughts and flooding in the region. "Our findings do not mean the Three Gorges Dam has no impact on the downstream lake system, but the main impact thus far has been limited to the alteration of the lakes' seasonal pattern, rather than an interannual decline," Wang said. "The seasonal impact is particularly evident when the reservoir stores water every fall to prepare for power generation. This lowers the downstream Yangtze River level and drains part of the water budget in the connected lakes. "Like most reservoirs, the Three Gorges Dam traps sediments in its reservoir, which causes erosion downstream," he said. "But on the positive side, it releases additional water in drier seasons such as winter and spring. Altogether, the dam's impact is much smaller than that of the climate system, at least in the studied decade." The dam is the world's largest hydroelectric project. Its construction, which started in late 1994, and reservoir water impoundment after mid-2003 uprooted millions of people from thousand-year-old villages upstream and caused major social contention, Wang said. The contention is not only limited to the upstream region, Wang said. The reservoir has stored 40 gigatons of water since 2003, limiting the amount of natural water flow feeding to the downstream Yangtze River Plain, which is home to thousands of freshwater lakes and vital to China's economy. "This process, very intriguingly, coincided with the observed lake decline and several extreme droughts across the Yangtze River Plain," Wang said. Wang and his colleagues also quantified the negative impacts of human water consumption from agricultural, industrial and domestic sectors across the downstream Yangtze River Basin. These impacts are surprisingly comparable to the Three Gorges Dam's impact, Wang said. The dam and human water consumption together comprise 10-20 percent—or less—of the decline's factors, while up to another 10 percent of the decline may be caused by a variety of other factors, possibly including other dams, sand mining, soil conservation and urbanization, he said. "It also is important to recognize that anthropogenic impacts have strengthened in the past couple of decades," Wang said. "Although the Three Gorges Dam already reached its maximal storage capacity in 2010, its induced Yangtze River erosion will continue. This also may come along with increasing human water consumption and trans-basin diversions. We hope our study not only provides an overdue explanation of the past decadal lake decline but also offers scientific guidance for future conservation of this critical fresh water resource." For their study, Wang and his colleagues used thousands of satellite images from NASA, an advanced hydrological model from the Netherlands, statistical data from the United Nations, and measurements and censuses from several Chinese organizations.